Sometimes it's just good to treasure those special, quiet moments with your child. This picture was taken a couple of weeks ago. We were embarking on a four hour car journey, crammed in the back of my in-laws car. Generally Ruby is a good little traveller, but we don't drive so I approach long car journeys with much trepidation. Rather than the excitement of public transport, smiling and meeting people, having the opportunity to get out the buggy, walk, explore, look out the window, have a break when we change trains, Ruby is strapped tightly into a car seat, staring at the back of the drivers' seat, not yet tall enough to look out the window.﻿ Who knows how this could pan out?! And yet, 30 minutes into our journey, Ruby fell asleep holding my hand. 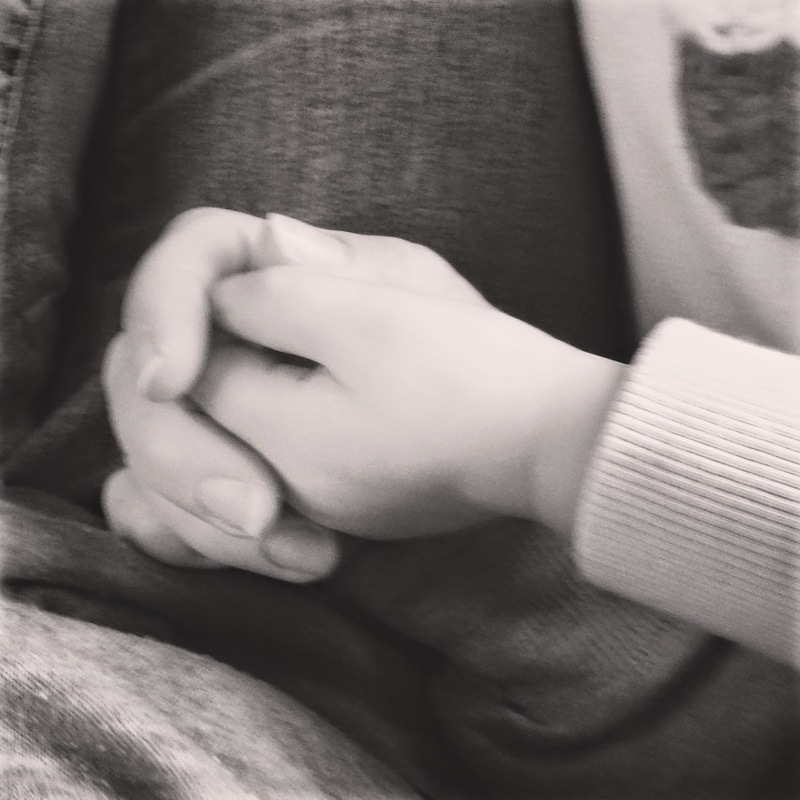 Her tiny little fingers wrapped tightly round mine, begging me not to let go. Makes being squeezed between a six foot giant and a bulky car seat all worthwhile!